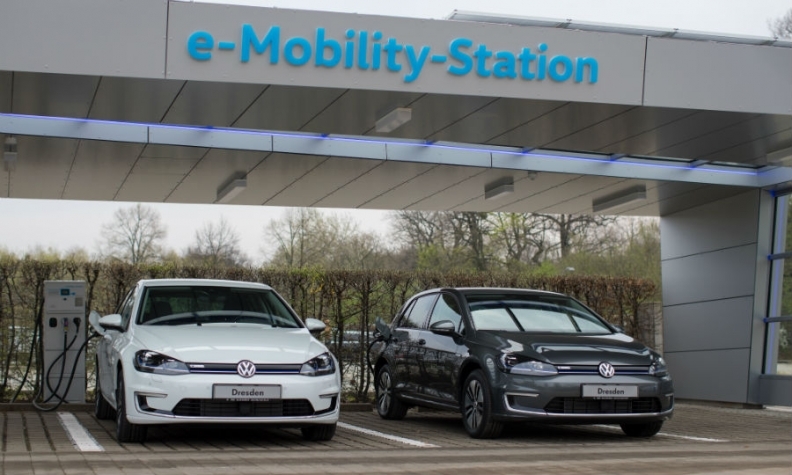 VW is pushing to secure long-term supply contracts to avoid material shortages as it seeks to become the global EV leader. FRANKFURT -- Germany's auto industry risks running short of key raw materials for batteries, hampering a planned boost in the production of electric vehicles, the Federation of German Industries (BDI) warned. "The risk of running into bottlenecks in raw material supply is increasing because demand is growing faster than production capacity," Matthias Wachter, head of security and raw materials at the BDI was quoted as saying by Sunday paper Welt am Sonntag. "Without sufficient supplies for instance of cobalt, graphite, lithium or manganese there won't be any future technology 'made in Germany,'" he said. Demand for these materials is expected to soar as automakers rush to embrace EVs in response to governments around the world cracking down on pollution. Volkswagen said it is pushing to secure long-term supply contracts to avoid material shortages as it aims to invest 34 billion euros ($41 billion) in battery-powered cars by 2022 to challenge Tesla. Daimler's Mercedes-Benz brand plans to offer an electric version of every model it sells by 2022, while rival BMW, a pioneer in electric cars with its i3 model, aims to achieve mass production by 2025 with 12 fully electric models. Recycling companies such as Belgium's Umicore or U.S. group Retriev Technologies are preparing to extract metals from old batteries so they can capitalize on an expected shortfall in materials.